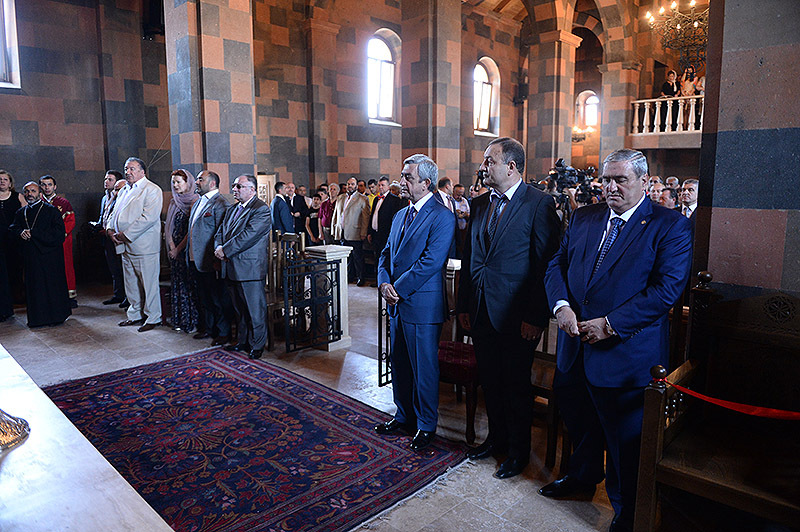 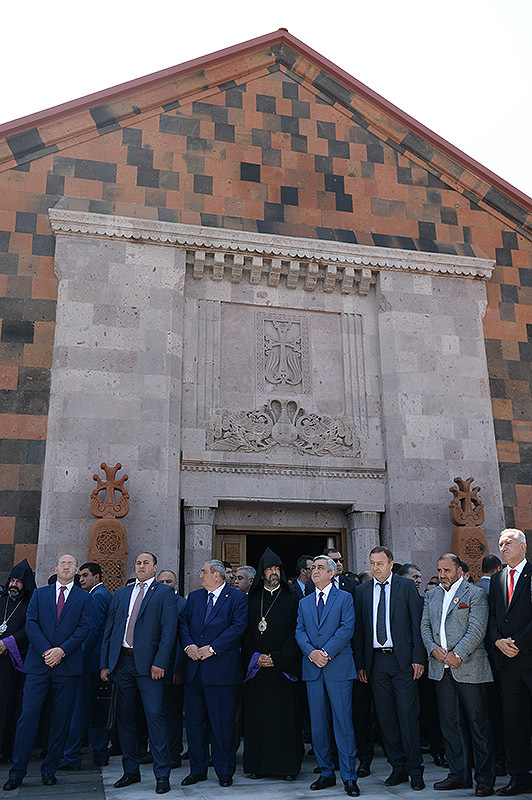 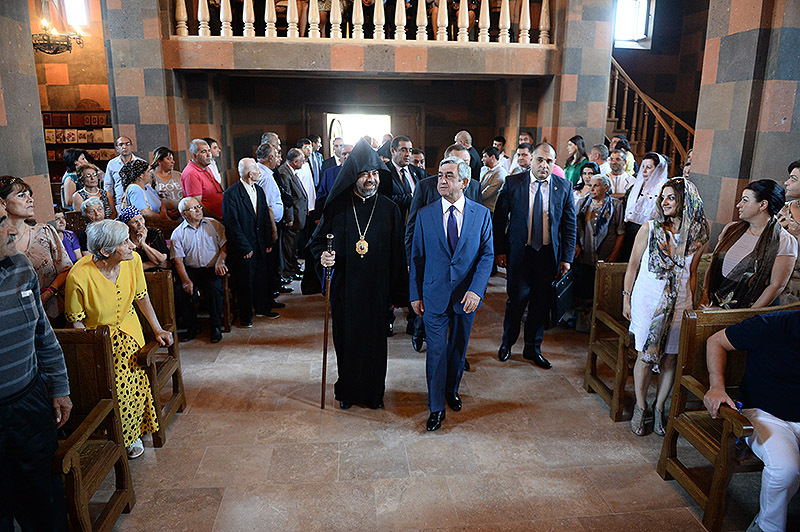 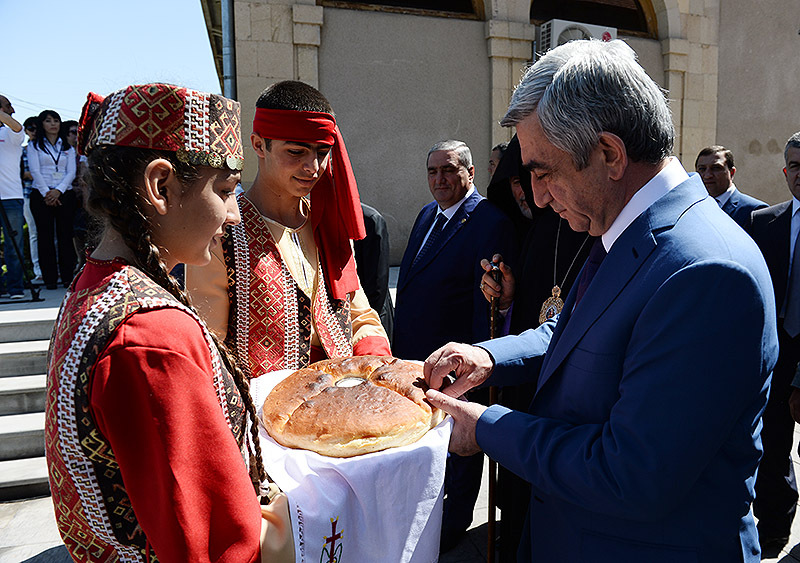 Today, President Serzh Sargsyan attended the anointment ceremony of Saint Grigor Narekatsi Church in Armavir. 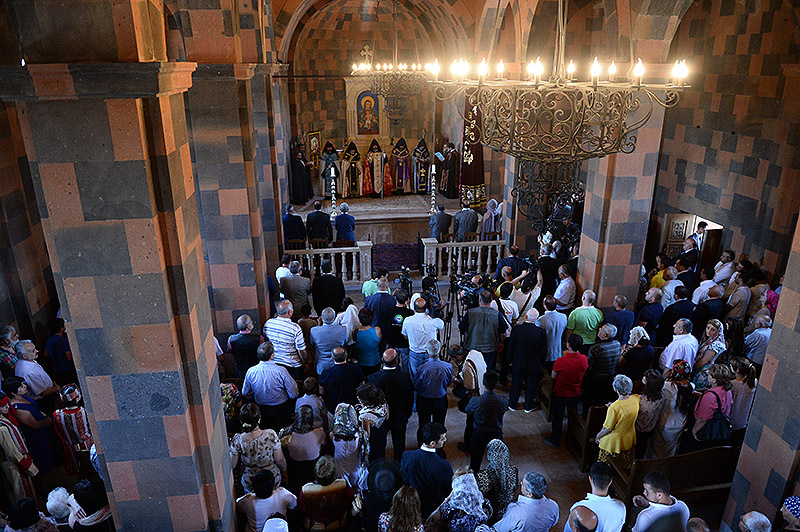 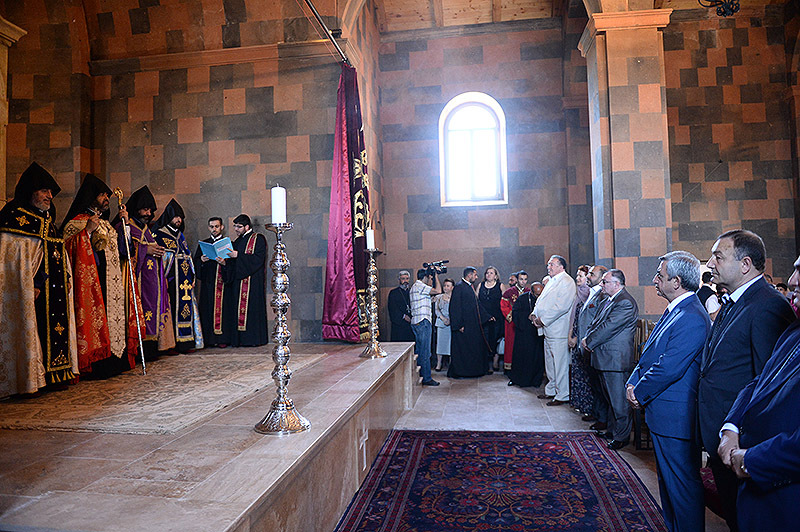 The groundbreaking ceremony of the only basilica in the regional capital Armavir took place in 2012 with the presence of the leader of Armavir’s diocese of the Armenian Apostolic Church Bishop Sion Adamyan. 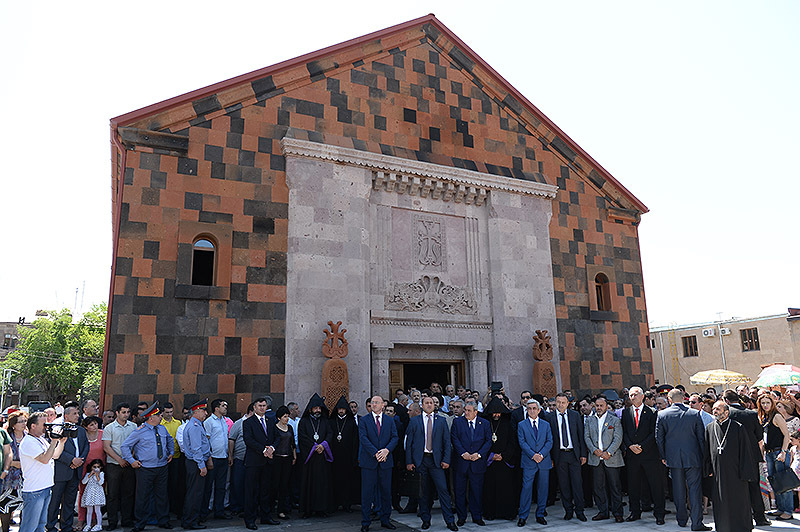 It was designed by the architect Mikayel Mkrtchyan under the patronage of the benefactor Karen Mkrtchyan.